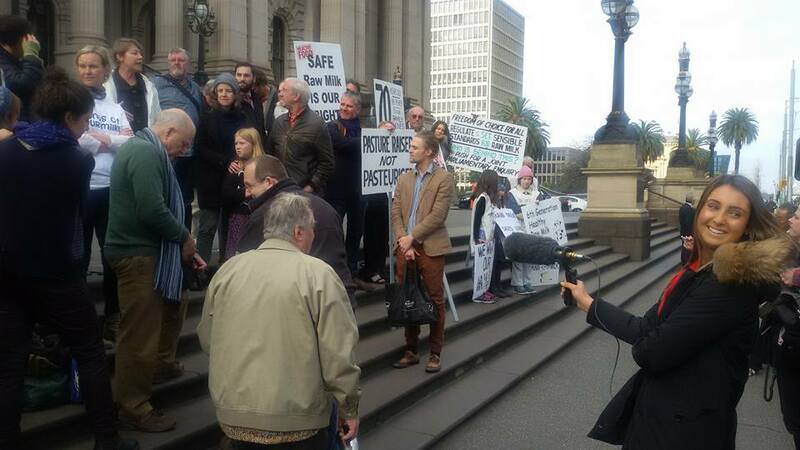 On 27 June 2015, we celebrated the handing in of 2212 paper version petition signatures. 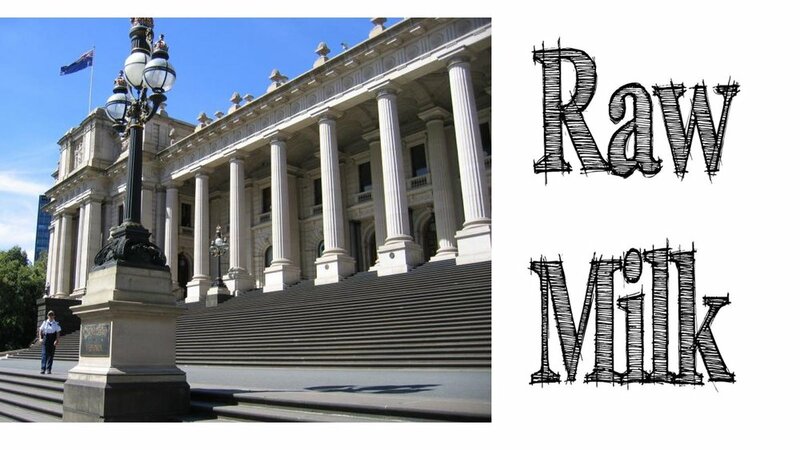 The Victorian Government would not allow ARMM to submit an online petition, (which may have made it easier to get double or triple that amount of signatures). 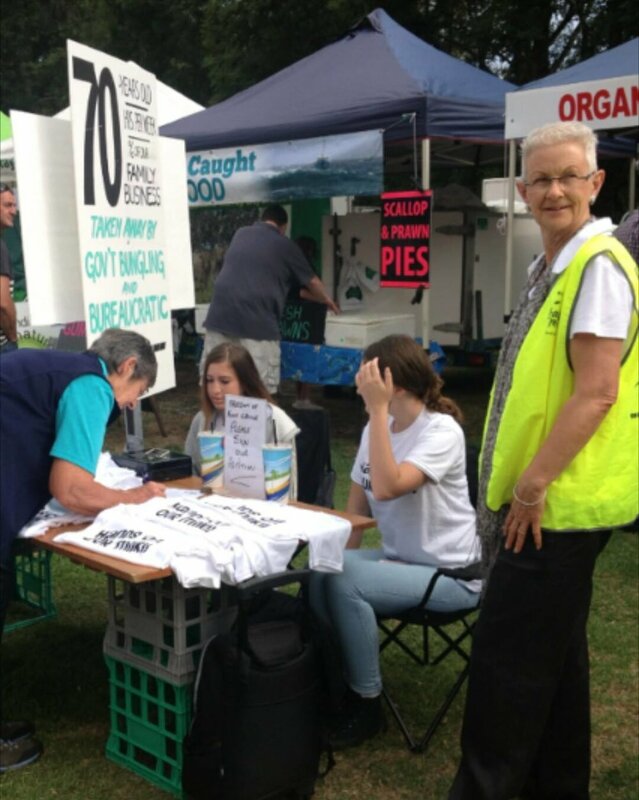 They also would not accept our Change.org petition with over 4500 signatures. Instead petitioners had to fill in a paper form, which had to be mailed back to ARMM, making it a very laborious project. ARMM volunteers worked tirelessly at farmers markets and health food stores to collect the signatures within a narrow timeframe. 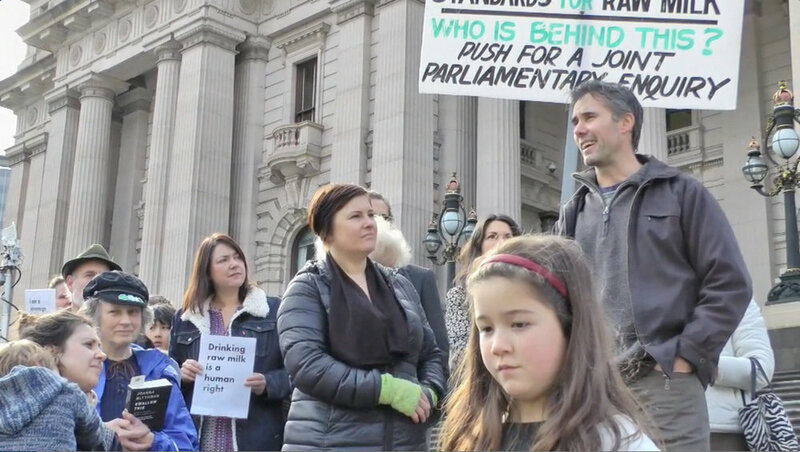 We held our Raw Milk Drink-In event on the steps of the Victorian Parliament to celebrate our hard work and our petition being tabled at Parliament. All the major news channels were there and Swampy showed up too. Later that evening The Project Channel 10, ran their pre-recorded Raw Milk Rebel story on Swampy. 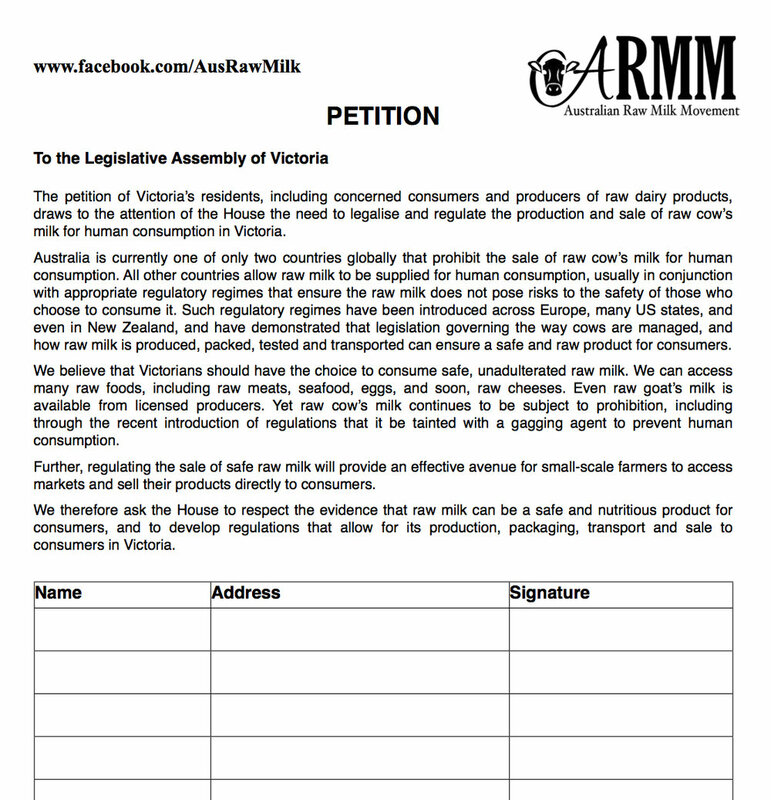 None of the news channels made any mention of the Australian Raw Milk Movement. 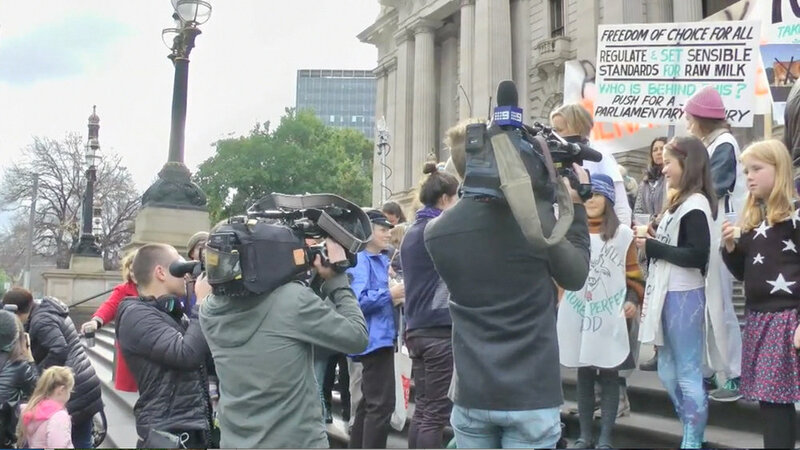 Instead a news report stated that Swampy staged a protest, which was not the case. But we were very grateful for Swampy's attendance, as it highlighted that there is a huge customer base and consumer demand for Raw Milk. 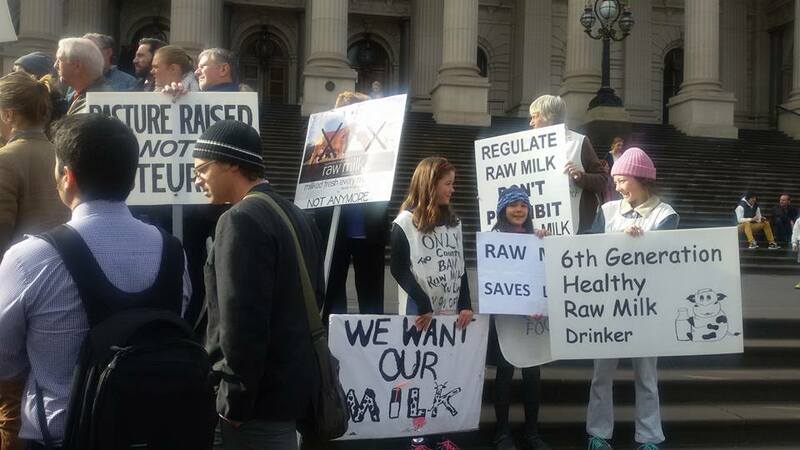 Rebecca, Lorraine and a few raw milk producers spoke about why we should have legal access to raw cow's milk. The large group also poured and drank raw milk in front of camera crews eager to capture the act. 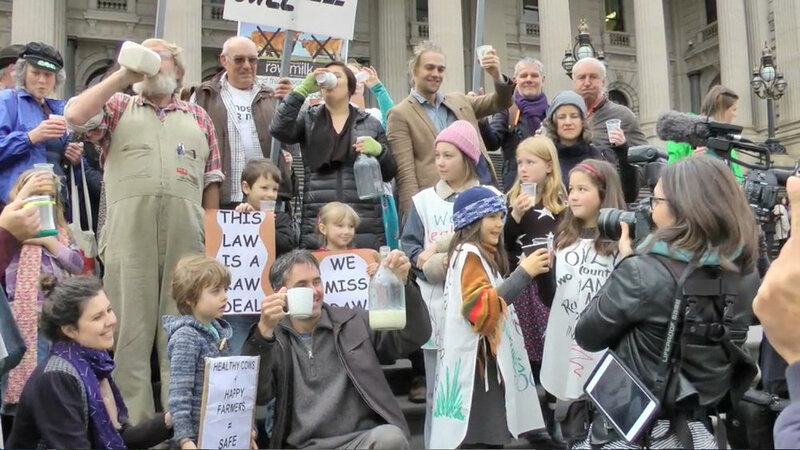 The idea behind the Drink-In was to normalise the act of drinking raw milk in the eyes of Australians. Raw dairy can be produced as a low-risk product when quality controls are in place. * Please note the timeframe for submitting this paper version petition has ended and it cannot be handed in, and our Change.org petition has expired.